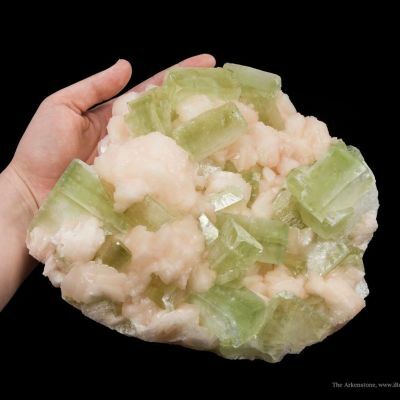 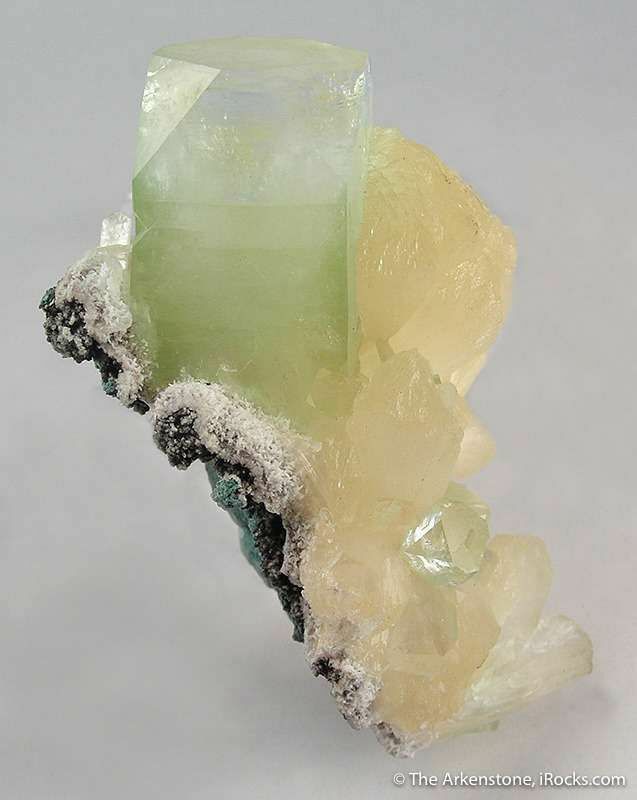 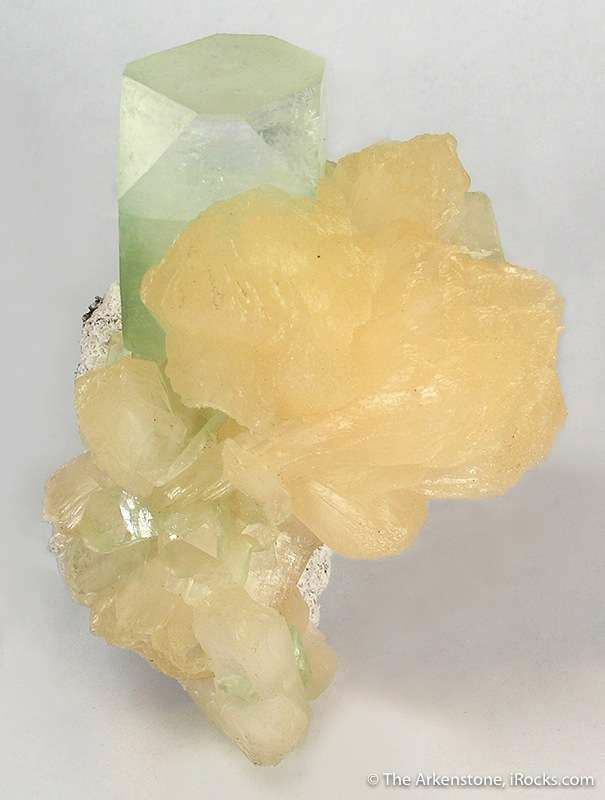 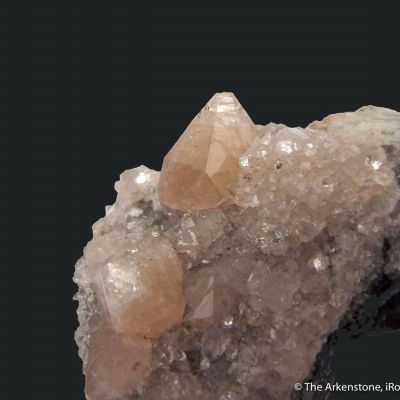 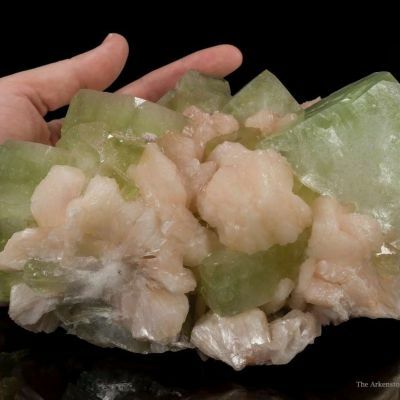 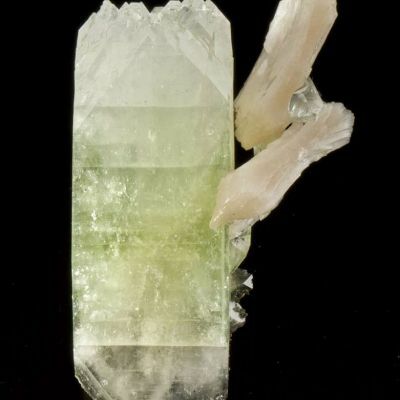 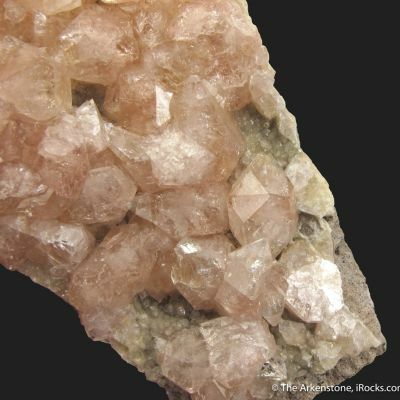 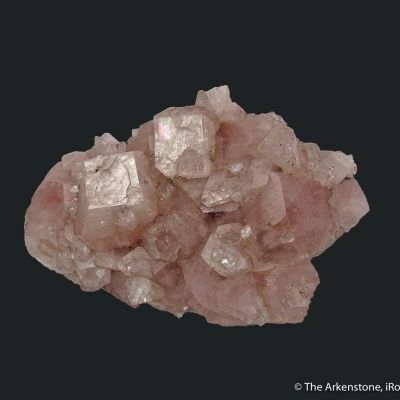 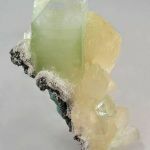 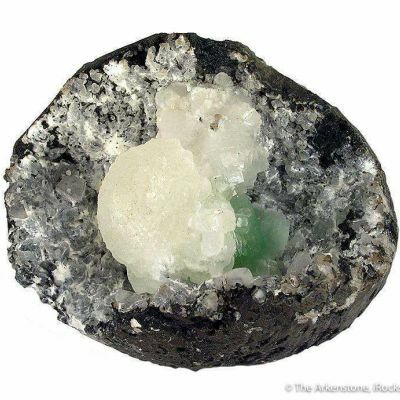 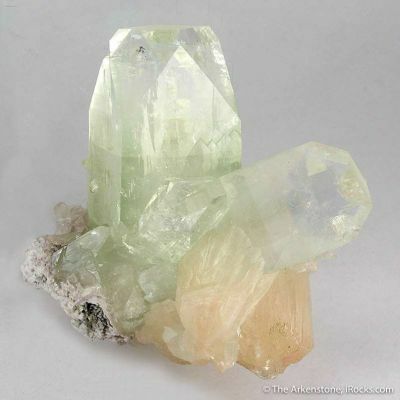 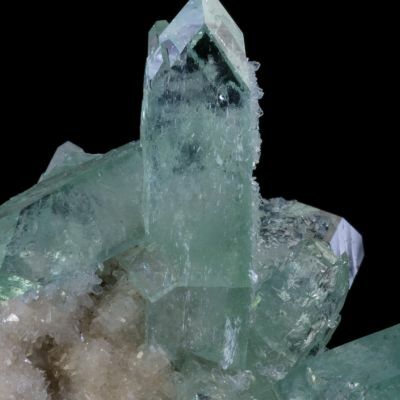 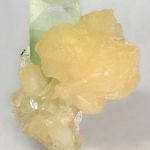 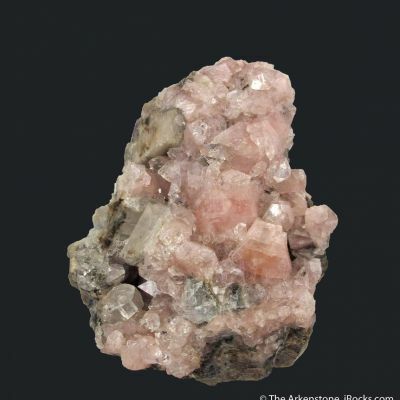 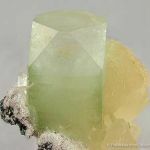 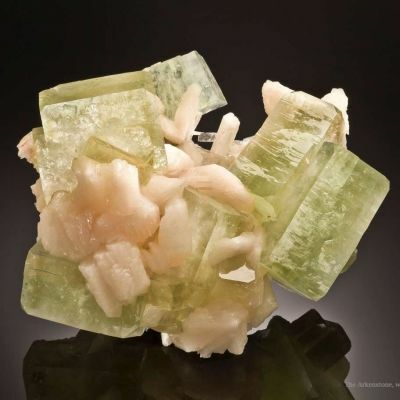 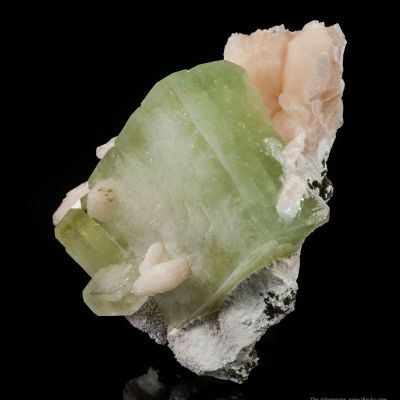 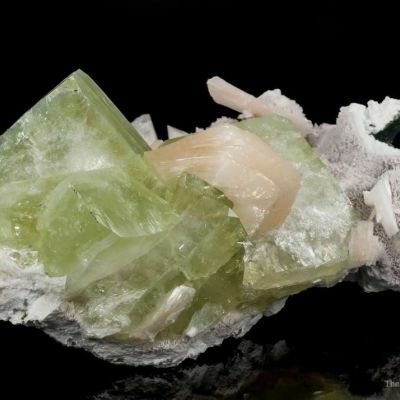 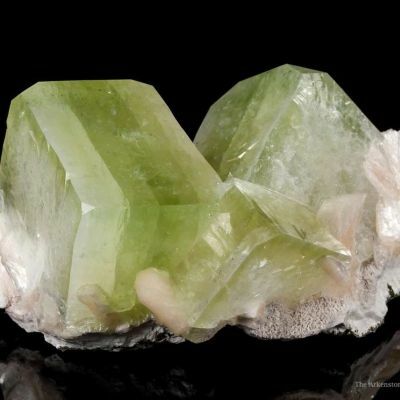 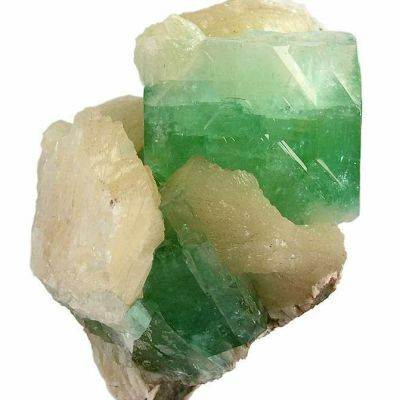 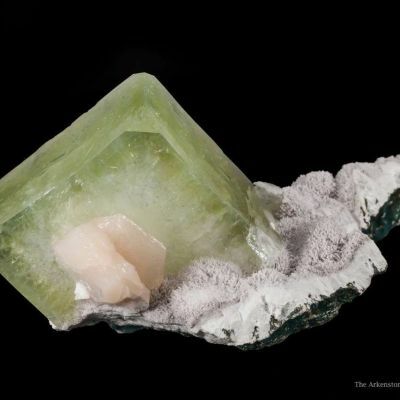 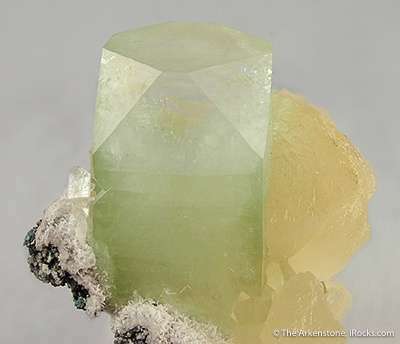 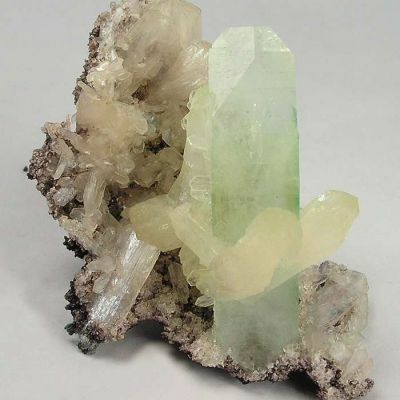 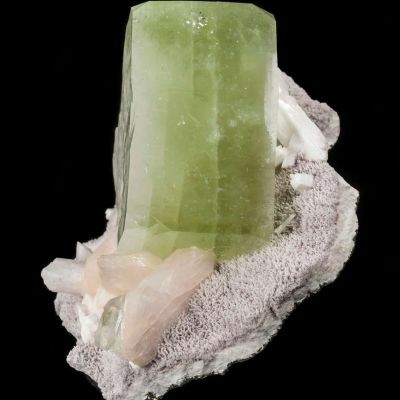 This matrix specimen is a combination of ivory colored, lustrous, translucent, cauliflower shaped, stilbite crystals, to 5.5 cm tall, and a large, blocky, light, mint green, translucent and lustrous, fluorapophyllite crystal, measuring 4.5 cm. 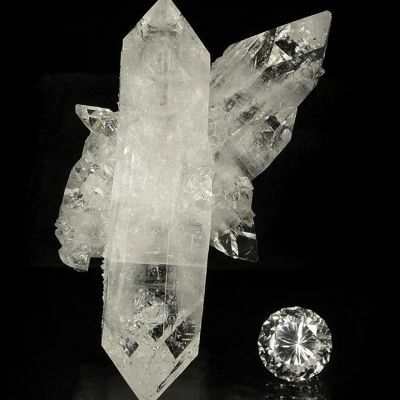 Very dramatic! 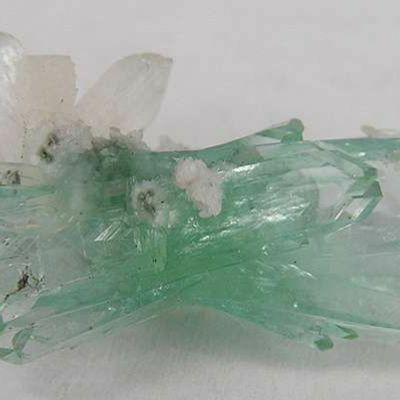 I love this new style of apophyllite crystals ending in such stark and sudden planar terminations, and bought much of the pocket.